Lots has changed with our CPU project over the last two weeks. Firstly, and most importantly, Andrei has finished our 8-bit ripple adder. Charlie and I have also worked on the negator board for subtraction (more here about that). All that in the next episode though. 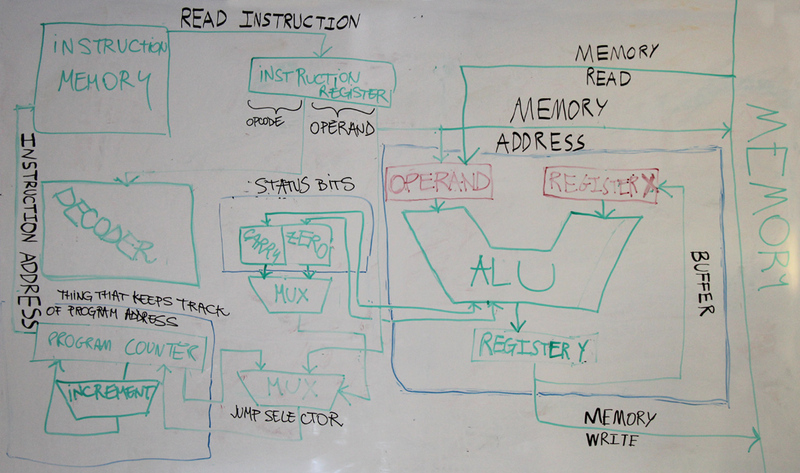 This week, we take you through the architecture of the overall project (in block diagram form). This entry was posted in Computer Science, CPU Project and tagged architecture, block diagram, cpu, unicputeam on February 11, 2013 by Sam.